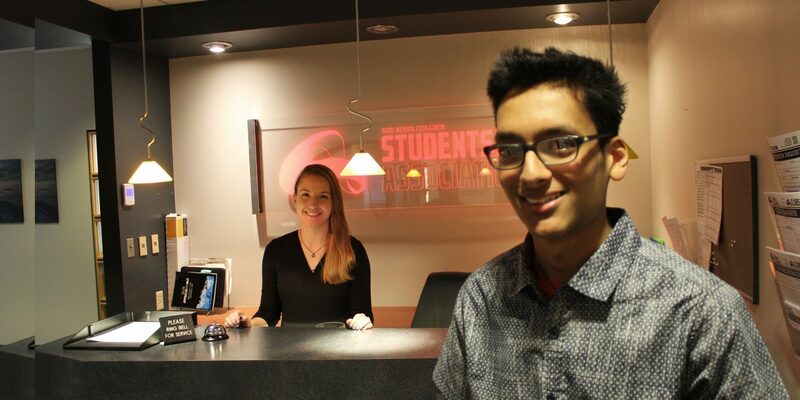 Josh Roopchand (right) will be taking over for Lauren Slegers (left), who was the RRCSA President for the past two years. NIK KOWALSKI. The Red River College Students’ Association election has wrapped up and all four positions have new representatives. Josh Roopchand, last year’s Vice-President Internal, is RRCSA’s new president. He was the only student to run for the position, meaning he just needed more than 50 per cent of votes in his favour. Roopchand, a second-year business administration student, handily exceeded the number, receiving 72 per cent of “yes” votes. Roopchand says he doesn’t understand why more people didn’t want to run for a position and that the lack of competition caused this year to be more of an outreach for student participation rather than a “vote for me” campaign. One of Roopchand’s short-term goals is to increase student engagement, which includes the voter turnout and number of candidates. “I told students who won’t be here next year, ‘you’re judging your experience, how was it, how can it be improved by certain candidates for other students,’” says Roopchand. Roopchand says he’s still honoured to be elected. “I called my mom immediately after. It was exciting,” says Roopchand. Voting at the RRCSA election was up by more than 40 per cent this year. 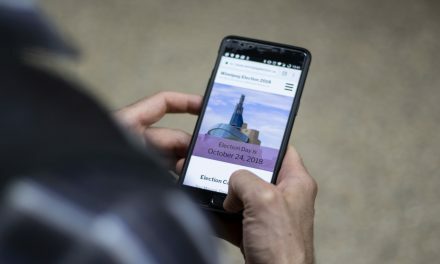 The election’s official results counted 12.7 per cent of RRC students voting compared to last year’s turnout of 9.09 per cent, according to RRCSA executive director Steve Nachtigall. Carmen McIntosh is the new Vice-President Academic, receiving just under 74 per cent of “yes” votes. Yash Chopra is replacing Roopchand as Vice-President Internal, receiving just over 70 per cent of “yes” votes. 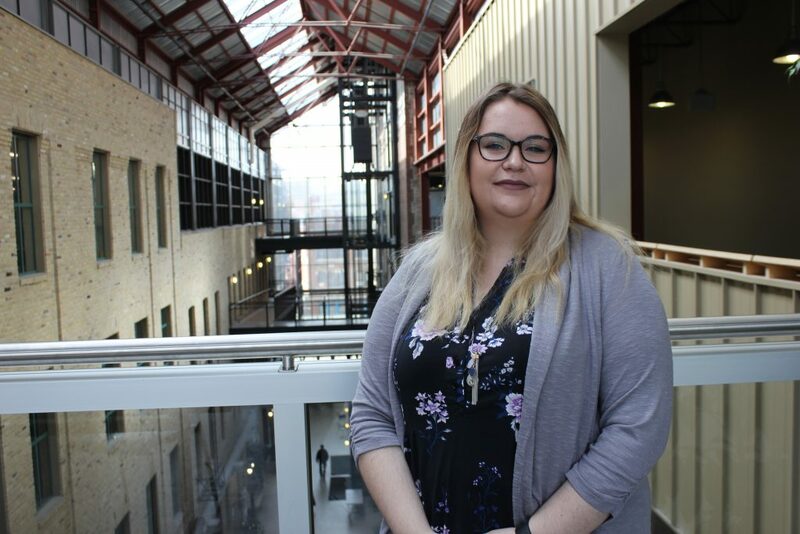 Second-year business administration student Melissa Ghidoni edged out Jasmeet Singh Grewal for Vice-President External, with Ghidoni receiving 54 per cent of votes. Melissa Ghidoni was the only RRCSA candidate who had an opponent this year. Ghidoni reeled in 494 votes in comparison to Jasmeet Singh Grewal’s, Ghidoni’s opponent for VP External, 292. NIK KOWALSKI. The VP External role was the only position with more than one candidate. Five people ran for the four available positions. Although Ghidoni will complete her two-year program this month, she plans on taking online courses to maintain eligibility to be the VP External. Both Roopchand and Ghidoni said they’ve been trying to become familiar faces at the college. “Stuff like walking around telling students ‘Hey, this is what we’re doing and how it benefits you.’ Just making students aware of what the RRCSA does for them,” says Ghidoni. Roopchand says he wants to focus on publicizing information from RRCSA board meetings. 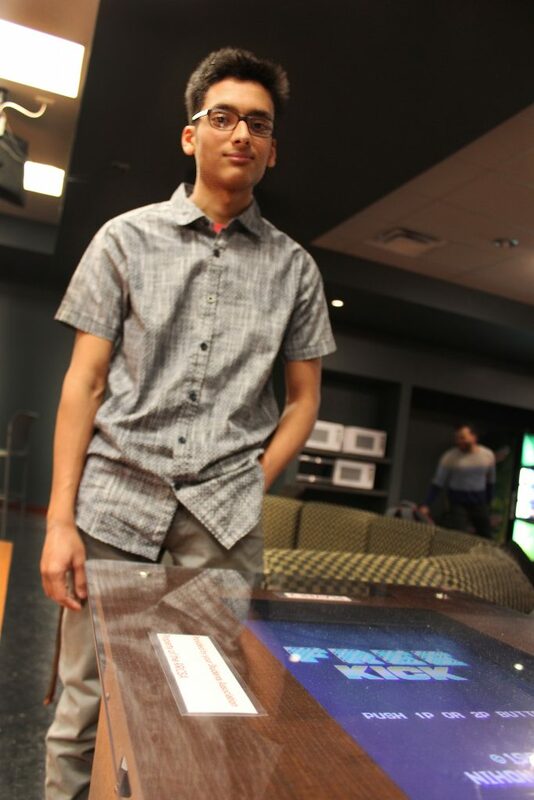 RRCSA President Josh Roopchand introduced Free Kick, an arcade game, to one of the hang out areas at the RRC Notre Dame Campus last year. 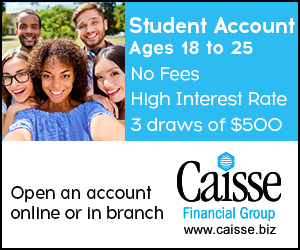 The RRCSA provides the game for students to play at their convenience. NIK KOWALSKI. “We have our minutes and agendas from our board meetings. All that is spread internally, but it’s not released to students,” says Roopchand. 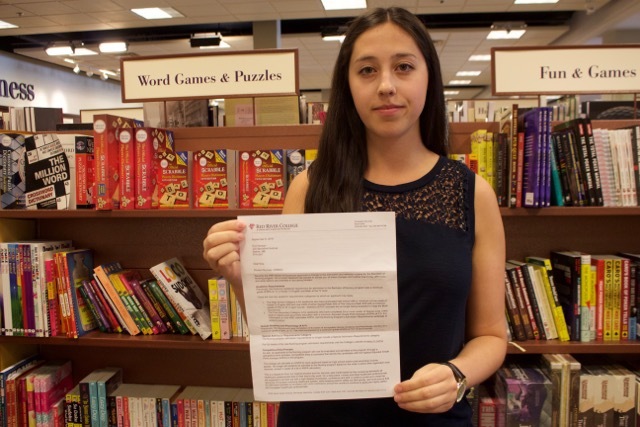 He hopes releasing public details will lead to an increase in students’ interest in the college’s decisions. Roopchand’s to-do list also includes providing students with a user-friendly financial breakdown that shows where their money goes and why. The RRCSA will be serving free pancakes at the Exchange District Campus at 9 a.m. on Tuesday, April 9 and at the Notre Dame Campus at 7:30 a.m. on Wednesday, April 10.